Allow me to start by saying that I'm a regular psychic readings' buyer on fiverr.com I've had totally BS readings from some sellers, while others had been 65-80% accurate most of the time which is to my mind a fairly good score! A few days back I was scrolling down the new arrivals and bumped onto a new listing (gig) from seller tpsylighthouse. (The Psychic Lighthouse) The reader's name is Anne, she goes by Psychic Anne there and her url is listed below. She had a really good offer of a detailed 1 question reading for $5, which without much thought I purchased, since she claims to offer instant refund if I were unhappy. I must admit that the woman nailed it! She has been very accurate to what she saw and with minimum input from my side (only my first name and my question where she stated that she needs no background information). She could describe events/personalities and situations in shocking detail and refer to a couple of things that only I could know - I hadn't shared this information to anyone till now, so it was very pleasant to see her value. Her reading was promptly delivered in pdf format in around 24 hours and I can say that for sure it was containing uncanny predictions. She doubled the length of my reading without asking for extra money, also threw in some bonus oracle readings and I much enjoyed her attitude (considerate and kind but not the all-sweet-dear type who tells you what you want to hear) and her eagerness to further clarify some shady points. I went for a reading to Anne recommended by a friend who has been using her services and help in reconciling with her ex. My friend is very satisfied from her so I bit the bullet and got a 3,000 character reading. I gave her my first name and my question without any background info as she inquired. Her typical turnaround is within 3 business days. When I placed my order she got back with a thank you note which I liked and 4 hours later I had my reading available!!!!! It was a multipage pdf with a cover, a short introduction and my main reading which she has gone ahead and doubled! She gave me timelines and a really long and detailed answer full of insights and some things she said I can already verify. She is really good!!!! Recommended! I am 99% certain the reader got back on fiverr with a different username, it's occult_boutique now, cannot find anything on facebook. Your love elixir is really good. Want to order again.  I purchased a reading from Psychic Anne on Fiverr last week. It was a past life incarnation reading.First of all, the price is quite good for the level of work and for her popularity. I really enjoyed how she detailed everything on a very easy and very descriptive way.The audio she delivered was clear and consice without uneccessary blah-blah but she also sounded very friendly and genuine. She's funny and she managed to lift my spirits!I could definitely relate to her reading and given that she only asked for a first name so that she addresses me I believe she is genuine because she could describe me and several situations in my life to a T...that's not very easy to achieve even with a lucky guess. I highly recommend her!  Ahhhhh.... this is the only psychic on fiverr that I trust. She’s always there for me when I need to vent about a problem in my life and she does not sugar coat anything. I’ve had two readings in the last 3 months from her and things came to pass just the way she said they would. She’s so kind and sweet! Stop wasting your money with other psychics(no offence) I’ve spent so much money on other psychics which just proved to be a waste of money time hope and energy. Ann knows things.. & she knows best! All I have to say is that her spells really work! I ordered her third and most expensive package which was more expensive because I wanted the extras :-) She put me on top of her list and got back to me the next day scheduling me for a full moon cast for no extra money. Very thorough very considerate, she knows her way round, doesn't lie, is very professional and the most important thing....I got results in like two days. Really! Fiverr gives buyers the chance to rate their purchase within 30 days so I truly planned to wait till the month was over (her guarantee was that the spell would work in a month or I'd get my money back) so I really wanted to have the upper hand because as stated I went for the most premium package it wasn't like $5! But YEAH! It works and I couldn't hold but write it up on my review comments. She is a really good reader, she can describe every situation to a T. I feel she's more into love matters but she is also quite accurate with other questions. I'd recommend her as a love/relationship reader and as much as I hate to hear some of her predictions, I at least know she is not sugar coating things for me.Her prices are cheap if you get to experience what you receive in terms of quality, consistency, accuracy and results.The best reader on fiverr BY FAR! Returning client for a reason! I have recently ordered her Aura cleansing service. She worked on my case for 7 days and then recorded a long detailed report with all findings, what was done, how I was affected and so on. She is simply amazing! I can't recommend her much. Exceptional experience and a lovely person - she was there for me even after the delivery of the service, sending me messages and caring about my situation. Very well worth!!! So, I heard for Anne from a review forum. The opinions weren't very glowing for her however, there were members that attested she was dead spot on so I decided to give her a try on a reading to get a feeling of her work. I went on to buy her Skype 45min session back then. I placed my order and waited as she had 3-4 days to complete it. I heard back from her the same day. She told me in a very kind message that she could arrange my session for the same day if I'd like as she had a cancellation and that she wouldn't charge extra for that (extra fast delivery was an extra $15). I agreed and she scheduled our meeting for a few hours later. What an experience! First of all fast typist! I can't stand when I pay for a session and the reader types as slow as a turtle in order to consume the time. Secondly, very friendly, very down to earth and really easy going. I had an issue with my connection and although the fault wasn't on her side she offered me an extra 10 minutes to sum up the lost time! Then comes her accuracy. As she advertises.....impeccable! I was so impressed and mind you I gave little to no background detail so that I could see her connection. I was speechless. Her prediction timelines were correct for most of what she said. An amazingly positive experience for me - if you look for a legitimate reader, give her a try!!!! I saw her reviews from clients she has and got tempted to order a psychic reading from her. She is very quick in her delivery, very generous with her time and dead on right a psychic! She even told me names and specific dates of things having occured in the past! I order her typed reading as her prices are a bit up but I can understand, based on her accurate answers. I highly recommend Anne! I am a client of Anne's. Her readings are EXCEPTIONAL in detail and accuracy and her predictions manifest on over 90% but I am astonished on how quickly her mind manipulation spell manifested. It is less than a month and I got the result I have been paying thousands of dollars in the past without any results! She is great! Hands down - lifetime customer! My experience was very positive. Her rates are high but if you try her readings you'll see there is a reason. Very accurate and spot on with predictions. Recommended! ....on a skype reading session. She was generous with her time and compensated me with a few extra minutes because of a misunderstanding on her side. Definitely recommended, she could precisely describe people and situations with her cards with a minimum input from me. I'd buy again from her, she's prompt and appears to be very accurate. Not so spot on with money/job but she nailed it with a relationship issue. I got a skype reading from Anne a couple of weeks ago. She is very spot on. She explained everything to me and had been very generous with her time. She offered me a one hour chat for $30 which is cool :-) She also told me she could wait a bit online for a final question and didn't accept payment on this extra time. Highly recommended since her predictions seem to come to pass (not yet but things have drastically evolved towards there so I guess this is how things will manifest after all). A sweet lady but not sugar coating. I like her! I got a message from her on Fiverr a few days back (one of those unsolicited messages many sellers send randomly) in which she promoted her audio reading to me. I confronted her as I hadn't asked her to contact me but she apologized and said she saw I was into readings from a negative review I left to another psychic seller there, and she thought I would be interested in trying her and see if her answers resonated to my situation. She promised me an extra question that she would answer for free so I bit the bullet and ordered. The reading came within hours (her deliveries are set for 3-4 days or so) at no extra charge which I found nice. She is not English obviously but she speaks better than other non-English readers. I got a 42min reading for 2 questions answered in detail and an extra 5 answered with a simple yes or no. The answers were in audio and in fact she helped me convert the file as it was delivered in m4a or something like that and I couldn't listen to it. Secondly, she was very kind and sweet and showed a great level of customer service, she just made me feel special, and most importantly, she was listening to me! Most of the psychics I have been to, dumped me once the reading was over or ignored me. Not Anne! She patiently discussed with me,and answered all follow up questions at no extra charge! She was very considerate to even contact me first to ask how have things evolved a couple of weeks after the first reading!I mean...who does that? So, her readings.... Audio format, quite lengthy/20-30 minutes each ( that, if you opt in for a $5 reading. I assume if you upgrade, the audio gets longer). She used to throw in some oracle card bonus, now she offers like an extra 6 questions answered as yes/no with a pendulum. And she nails it all the time! I mean...her accuracy....she declares over 90% accurate predictions but take it from me, she is 100% spot on!!!!! She could connect to past issues, describe people as an empathy, and foresee things that were coming my way and the result was so irrational that at first I didn't believe her..…but indeed, things happened the way and time she described. To sum this up, she is a gem psychic.... Affordable, honest, straightforward but at the same time, caring and considerate. I recommend anyone in search of a credible psychic to give her a try.